U.S. District Judge Dan Polster disqualified the firm and Cleveland partner Carole Rendon, who represents Endo Pharmaceuticals Inc. but previously headed an opioid task force while serving as U.S. attorney of the Northern District of Ohio from 2016 to 2017. A federal judge has disqualified Baker & Hostetler and a key partner, Carole Rendon, from defending one of the opioid manufacturers in the first bellwether trial over the addiction epidemic. Rendon, a partner in Cleveland, represents Endo Pharmaceuticals Inc. but previously worked as a federal prosecutor in Ohio, including as U.S. attorney of the Northern District of Ohio from 2016 to 2017. During that time, Rendon was head of a heroin and opioid task force that included officials from Cleveland and Cuyahoga County. U.S. District Judge Dan Polster focused on that task force in his March 20 disqualification order. The order follows a Feb. 6 hearing at which Polster heard testimony from three public officials and Rendon. At the end of the hearing, he said he would reach out to the U.S. Department of Justice to determine whether to disqualify Rendon and her firm. Attached to the order was a March 15 letter from the U.S. Department of Justice’s civil division stating that Rendon had access to nonpublic information. 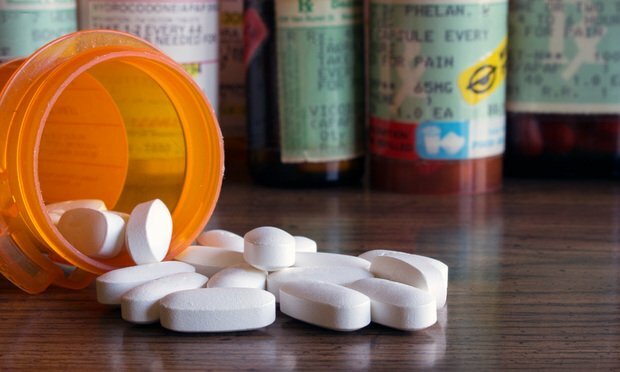 Polster’s order is limited to the first trial in the multidistrict litigation, slated for Oct. 21, in which Cuyahoga and Summit counties, both in Ohio, have sued opioid manufacturers and distributors for causing the epidemic. The order also applies to a case brought by the city of Cleveland, planned for a later trial. Polster allowed Rendon and Baker & Hostetler to continue to represent Endo in the multidistrict litigation, which involves more than 1,600 lawsuits by other cities and counties across the country. Rendon also is co-liaison counsel for all the manufacturing defendants, many of which filed documents joining in Endo’s opposition to the disqualification motion. Rendon and a Baker & Hostetler representative did not respond to a request for comment. The order follows a motion by Cleveland, joined by Cuyahoga County, to disqualify Rendon and Baker & Hostetler from the opioid MDL, citing violations of the Ohio Rules of Professional Conduct, specifically Rule 1.11, which bars former government attorneys from representing a client “in connection with a matter” in which they participated or when possessing confidential government information. Rendon and Baker & Hostetler insisted there was no conflict. “The court concludes, based upon its understanding of this litigation, that this confidential non-public information may go to the heart of plaintiffs’ damages claims, and this information, if used by Endo, could ‘materially prejudice’ Cleveland and Cuyahoga County,” Polster wrote. But Polster also acknowledged concerns raised in an amicus brief by 20 former U.S. attorneys, from states including Florida, Texas, New Jersey, Pennsylvania, Georgia and California, that too many restrictions could make it harder for lawyers in government to change jobs.